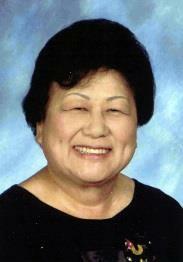 The Infant Toddler Development Center was founded in 1978 by Dr. Doris Okada. This program began with Dr. Okada teaching classes in special education at CSUDH and bringing children with identified needs to the college classroom for her student teachers to learn from. From the classroom setting, Dr. Okada moved this work into a little house where the Home Depot Center resides today. This grew in to a full day program for toddlers with special needs and eventually an inclusion program for typically developing toddlers as well. Dr. Okada was a pioneer in the early intervention field. Dr. Okada’s career at California State University, Dominguez Hills included service as a faculty member from 1975 to 2003, a stint as chair of the Graduate Education Division and coordinator of special education programs, and founder of the university’s Infant Toddler Development Center for children with special needs, where she was serving as director until shortly before her passing.